Renewable energy and energy efficiency together can provide over 90% of the energy-related CO2 emission reductions needed to deliver on the Paris agreement and limit the average global temperature rise to “well below 2°C”. However, the pace of deployment of renewable energy needs to be scaled up at least six times faster for the world to meet its decarbonisation and climate mitigation goals, concludes a recent report (Global Energy Transformation: A Roadmap to 2050) by the International Renewable Energy Agency (IRENA). Accelerated innovation is crucial to achieving that profound global transformation but policy makers need to refresh their priorities for innovation support in order to better address new challenges, such as integrating high shares of renewable power and electrifying high shares of transport, industry and buildings. At the third Mission Innovation Ministerial (MI-3) in Malmo in May, IRENA and Mission Innovation (MI) signed an agreement to cooperate to accelerate clean energy innovation. As an early example of that cooperation IRENA developed a briefing document for MI-3 (Innovation Priorities to Transform the Energy System: An overview for policy makers) which draws on and summarises key insights from IRENA’s extensive library of technology & innovation publications to provide a high-level overview of innovation priorities. The brief concludes that more support and co-operation are particularly needed to spur innovation in several key areas, in particular in industrial processes and in transport. The brief also emphasises that – alongside technological research, development and demonstration (RD&D) – support for innovation should encompass and integrate new business models, policies, processes and market design i.e. 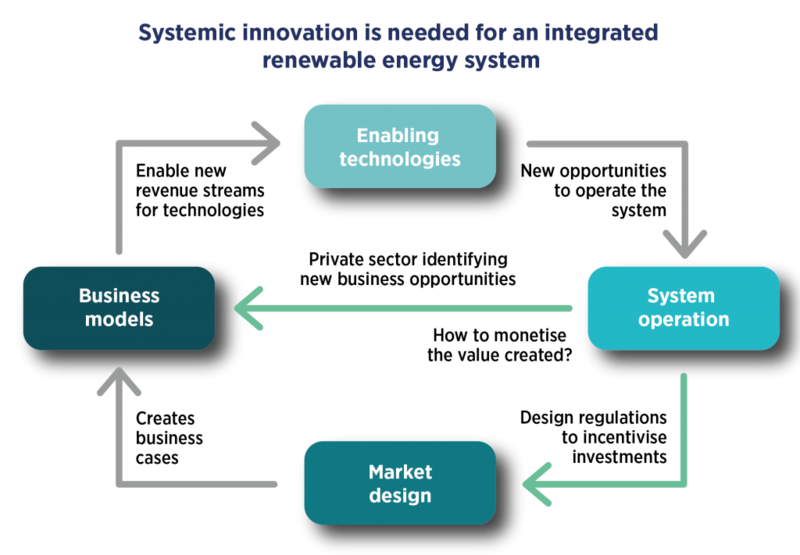 innovations in the integration and operation of the energy system. Government and private-sector innovation programmes, and international initiatives such as MI, should give greater emphasis to that systemic innovation. 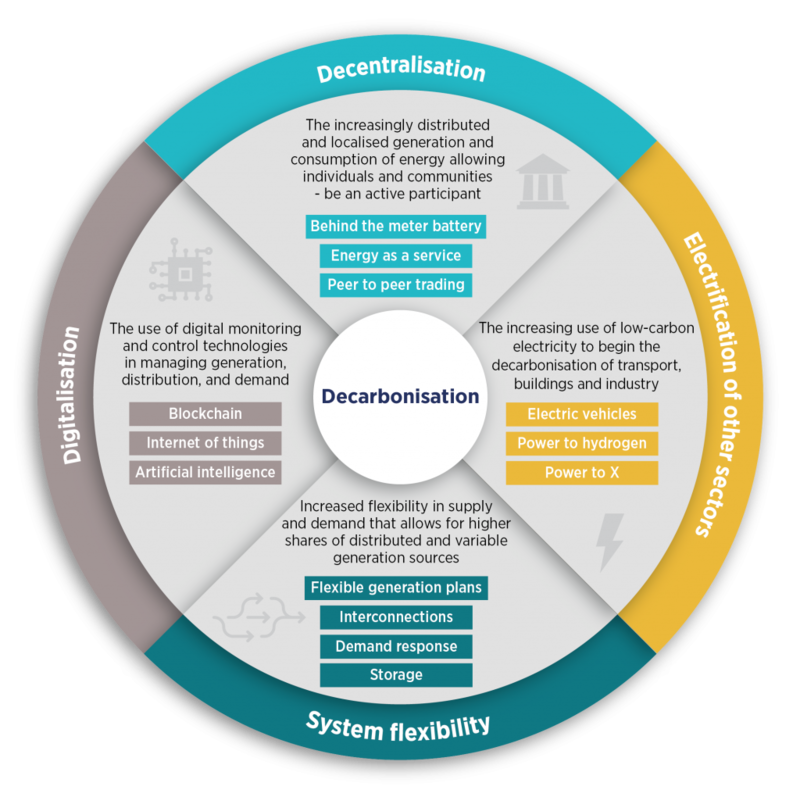 In order to highlight and explore the potential of some of the emerging systemic innovations in digitalisation, in decentralisation and in demand-electrification, IRENA is organising its second Innovation Week bringing together policy makers and innovative companies to explore ‘solutions for a renewable-powered future’ in Bonn, Germany, from the 5 to 7 September 2018. MI members are very welcome to participate. They can find out more here and can contact innovationweek@irena.org for registration details.